Globalizing Borderlands Studies in Europe and North America. John W.I. Lee and Michael North, editors. Lincoln: University of Nebraska Press, 2016. Pp. vii, 271. Illustrations. Notes. Bibliography. Index. $60.00 Hardcover. 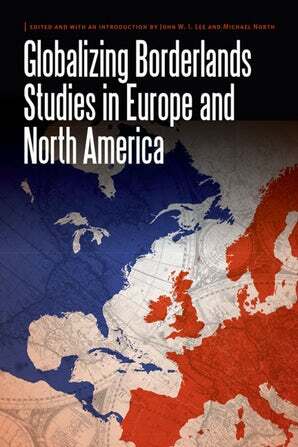 Globalizing Borderlands Studies in Europe and North America is as ambitious as it is unwieldy. The editors, John W.I. Lee and Michael North, have organized a diverse group of authors whose work spans a broad span of time from late antiquity to the mid-20th century, common era. Contributors consider multiple theoretical perspectives of the theme: conceptual borderlands, religious and cultural borderlands, imperial and medieval borderlands, indigenous borderlands, and medical borderlands. They also examine how communities often forged identity in contrast to their neighbors. Spatial relations, generally, is a critical theme throughout the volume. Put simply, there is a lot going on in this text. Many of the authors reference one another’s work, which helps to bridge the analytical focus of each case study. This is especially true of the Europeanist scholars in Globalizing Borderlands Studies who represent over half of the chapters present. When the book is focused on that part of the world, especially the Baltic Sea Region (of which there are four chapters dedicated), the authors make interesting observations about how distinct communities interacted. For instance, Manja Olschowski analyzes friars of the Cistercian religious order fought to protect their community’s rights vis-à-vis local Christian authorities and powerbrokers in the 12th and 13th centuries. She focuses on monasteries’ economic activities; they produced wine and traded in salt to provide the order with income. The friars interacted with local merchants and, in some cases, helped to build new markets for the sale of regional goods. Their financial success, however, could bring them into conflict with secular rulers who threatened Cistercians who left the grounds of their monasteries. This rivalry produced, Olschowski argues, micro-level borders, where religious statutes protect friars on their estates, but faced uncertain political and social landscapes once they ventured into local towns. Olschowski’s work contrasts with the chapter Kord-Henning Uber’s chapter, wherein he consideres the religious rivalries that affected the Duchy of Courland (located in modern-day Latvia) during the 17th and 18th centuries. consider the Duchy of Courland, which existed in modern-day Latvia. The dukes who ruled this region had attempted, but failed, to homogenize the religious identity of the population: Lutherans, Calvinists, Catholics, Orthodox, and others, including smaller groups of Jewish people and some pagans maintained their distinct communal identities. Drawing on work in earlier chapters by Elizabeth DePalma Digeser and Greg Fisher and Alexander Drost, Uber finds that Courland functioned as a religious borderland, which carried political consequences as no single group, including the ruling elites, successfully consolidated power to the detriment of local rivals. Returning to Digeser (whose chapter opens the volume), her examines the figure of Origen, the early Christian writer and philosopher, considering the condemnation he experienced after death among Hellenic and Christian communities in the third and sixth centuries as a kind of conceptual borderlands. It is an inventive use; Disgeser argues that Origen occupied a type of philosophical frontier among two groups of people who were in the process of defining their identities in contrast to one another. She also points to the possibilities this research provides for future collaboration, however, in this chapter, the borderlands discussion of Origen’s place in late antiquity lacks needed development. The concept, although really requiring greater development, proves influential to authors in subsequent chapters in Globalizing Borderlands Studies. Fisher and Drost, for instance, examine interactions among societies in the eastern Mediterranean and North African world in late antiquity, studying Romans, Berbers, and Arabs in spatial terms influenced by Richard White’s middle ground and related concepts. They find commonalities with Digeser in how religious and social ideas interacted among frontier communities. The chapter concludes with an examination of Germanic tribes, noting how they were influenced by and internalized Roman structures of power compared to Berbers and pre-Islam Arabs. Moreover, in framing the significant of their study, Fisher and Drost emphasize that many of the challenges (ideological, spatial) related to the exercise of power in the Mediterranean world and North Africa in late antiquity offer students of modern geopolitics much to consider. Following a chronological structure, after the contributions by Digeser, Fisher and Drost, and Olschowski, Globalizing Borderlands Studies pivots to the “New World” examining the colonial frontier in Maine in wartime during the late seventeenth century. Ann Marie Plane is interested in the relationships that local residents crafted amid the hostilities of King Philip’s War, which pitted English and indigenous communities against one another with considerable loss of life and property. Plane draws on Sam Truett’s work to contextualize the legacy of violent frontier encounters, as well as Digeser’s conceptual borderlands for understanding the long-term impact armed conflict has on identity formation and historical memory among subsequent generations. She emphasizes the point in her conclusion that scholars should resist a “desire for tidy closure” when studying the consequences of cross-border violence. It is an interesting study, but at the same time, its location (like an island in the sea) can be lost among the numerous chapters on Europe in this section of the book. In the next chapter, Stefan Herfurth describes the history of Swedish Pomerania following the Thirty Year’s War, emphasizing how the region on the southern cost of the Baltic Sea existed as cultural and political cross-roads. Under Swedish rule, but specifically a property of the Swedish crown, Pomerania was a “bridgehead” for Sweden in northern Europe and the Holy Roman Empire. Over time, as Russia grew in power, diminishing Swedish influence after the Great Northern War, Pomerania’s identity also shifted. This change became more pronounced when the region came under the control of Prussia in the early 19th century. It solidified a new political reality. At the same time, however, the region’s inhabitants nurtured a local identity that was neither fully Swedish, nor fully German, highlighting the borderlands essence of Pomerania during this period. Uber’s chapter follows, and then the volume returns to North America with Clinton F. Smith’s brief chapter considering native borderlands and indigenous power. He urges historians of Borderlands studies to continue to reorient their studies of native power away from frameworks that have long been influenced by notions of European colonialism. Turner’s east-west focus, as well as Bolton’s consideration of north-south spatial relationships ultimately returned to the European-style nation-state as the primary regional, historical actor. Smith notes that more recent work, especially Pekka Hämäläinen’s Comanche Empire place native actors at the center of the narrative, but also return a focus on native-European interactions, rather than prioritizing indigenous power as the primary actor in defining spatial relationships. It is here that Smith draws on work examining the Lakota of the northern Great Plains. The Lakota sought to dominate the Missouri river region, pushing out other indigenous rivals, and control trade through force if necessary. For decades the Lakota functioned as a regional power that defined its own spatial relations vis-à-vis its neighbors. At the end of this brief theoretical chapter, Smith tries to incorporate Digeser’s and Fisher and Drost’s theoretical perspectives, but the attempt feels tacked on, leaving much to be desired for how borderlands can be conceptualized across distinct regions and centuries. After Smith, the volume moves to the U.S.-Mexico borderlands during the nineteenth and early-to-mid twentieth centuries. Verónica Castillo-Muñoz examines regional development of Baja California from 1870 to 1912, which became a zone of significant U.S. investment in Mexico. The commercial growth, supported by Governor Estabán Cantú, who also benefited from the border states robust vice trade, had significant demographic impacts, displacing indigenous communities under the guise of land colonization that brought in new immigrant workers by the turn of the century. Her work examines these interactions influenced by White’s notion of the “middle ground” as distinct groups of people negotiated spatial relationships in order to survive a changing political landscape. Subsequently, Gabriela Soto Laveaga explores state power and the creation of sanitation and health regimes in Mexico during the early-to-mid twentieth century. She notes that these programs were a priority for the new government that came to power after the Mexican Revolution with the goal of modernizing infrastructure and projecting notions of progress to citizens and foreign observers. During the 1930s to the 1950s, the period Soto Laveaga considers, medical students and professionals played critical roles in spear-heading public initiatives that engaged with poor rural communities, arguing for better infrastructure and complaining about a lack of state-provided resources. Her work not only covers the border, but also examines coastal states, such as Veracruz; her findings align with other scholarship on post-revolutionary social and economic development in twentieth century Mexico. With these chapters on the U.S.-Mexico border region, the challenges of the ambitious scope that the editors and authors are trying to achieve in Globalizing Borderlands Studies come back to the fore. For instance, Castillo-Muñoz and Soto Laveaga hardly engage with the other work present in this volume (although brief mention in made). That is not necessarily a detriment as both chapters offer cogent analysis of their topics and add to the literature on economic development and public health. But it does cause this reader to question: is it necessary for specialists of the US-Mexico borderlands of the nineteenth and twentieth centuries to be in conversation with borderlands historians of late antiquity in the Mediterranean world North Africa and the Baltic Sea Middle Ages? Perhaps so, but the regional divides are not well addressed. The interaction among scholars falls along discernable geographic lines. This volume offers much for European specialists to consider, but less so for scholars of North America. The editors go to great lengths to build bridges that almost, but do not quite, reach across divides in the field of Borderlands studies. In the brief conclusion, written by Drost and North, the authors summarize the volume’s key analytical points and look to the horizon, identifying where the field may develop in coming years. They write: “Traditional descriptions of geographical and metaphorical borderlands in Europe and North America have mainly referred to a borderland as an entity defined by borders that exist outside human agency or are primarily defined by institutional structures.” Their observation came as a surprise to this reader who can think of numerous scholars, including Katherine Benton-Cohen, Geraldo L. Cadava, Monica Perales, Samuel Truett, Alexandra Stern, among others, who are engaging themes of human agency in their work on the U.S.-Mexico border. In short, this innovative type work is already well underway in the field. Drost and North posit that the theoretical concept of borderlands as treated in this volume has applicability in other border regions across the world (understandable) and calls on more work to be done to create “new explanatory models.” Again, quite understandable. Hopefully, scholars will take up the call. Globalizing Borderlands Studies has a wide focus, but it is necessarily a first step in broadening the discussion of borders in Europe and North America. Nevertheless, the volume strains under this ambition. It strives to break new theoretical ground, but in doing so, reveals the significant challenges that remain. The decision to organize the volume chronologically serves to mix the regional focus but does not draw much additional analytical insight; it is easy for the reader to identify which authors are interested in one another’s scholarship. The conceptual divides in the field remain clear and present. Ultimately, this volume presents an interesting collection of case studies that hint at a future for the field. Much work is needed, both in the archive and in developing the theoretical framework, before the goal of “globalizing” Borderlands studies can be achieved as these editors and authors propose.